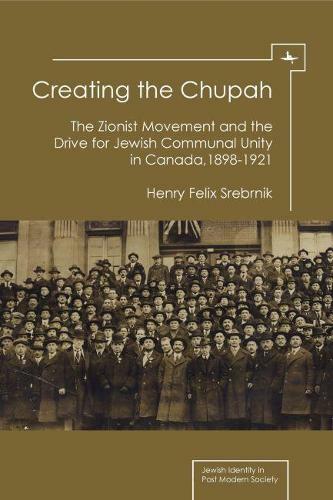 Creating the Chupah assesses the role of Canadian Zionist organizations in the drive for communal unity within Canadian Jewry in the first two decades of the twentieth century. Two strands of Zionism, represented respectively by the Federation of Zionist Societies of Canada and Poale Zion, were often in conflicts that reflected greater disputes. The book also describes Zionist activities within the larger spectrum of Canadian Jewish life. Montreal was at the time the "capital" of Canadian Jewry, but the Jewish communities of Toronto and Winnipeg also played a significant role in these events. Srebrnik here makes a substantial contribution to our understanding of Zionism and twentieth-century Jewish life in Canada.